#1 - The Shadow War! #2 - The Last Crash of the Sunchaser! 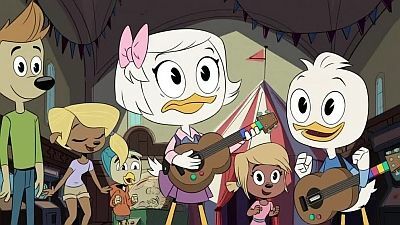 #3 - What Ever Happened to Della Duck?! 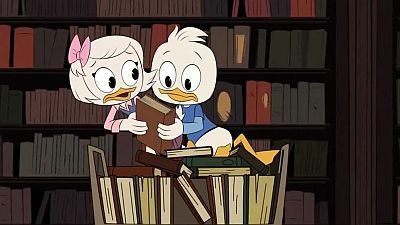 #4 - The Secret(s) of Castle McDuck! 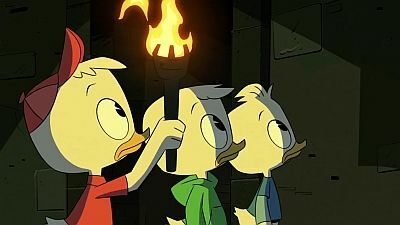 On a family trip to Scrooge's ancestral castle, Dewey tries to hide the truth about his mother as his brothers search for family secrets. 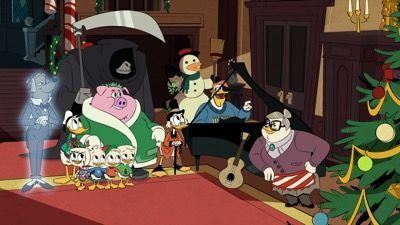 Scrooge avoids the pressures of the holidays by traveling back in time with a trio of fun-loving ghosts to crash history's greatest Christmas parties; time-lost Dewey teams up with young Donald Duck to find his mother on Christmas. #6 - From the Confidential Case Files of Agent 22! #7 - The Spear of Selene! #8 - The Golden Lagoon of White Agony Plains! 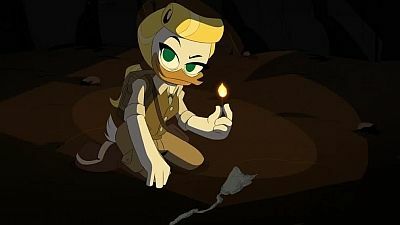 Scrooge re-teams with his conniving ex-partner and old flame, Goldie O' Gilt, to find a long-lost golden lagoon, but Glomgold has other plans. 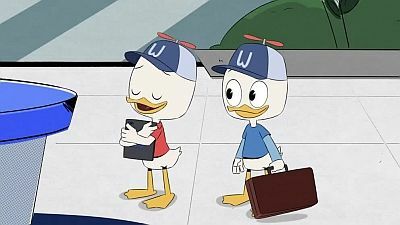 With no one else to watch them while he attends a job interview, Donald Duck begrudgingly leaves his nephews Huey, Dewey and Louie with his uncle Scrooge McDuck. 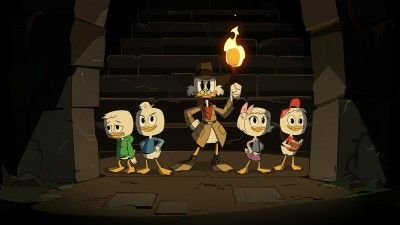 With his adventurer's spirit rekindled, Scrooge decides to take them all on a mission to find the Lost Jewel of Atlantis. 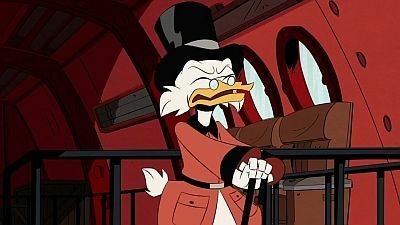 After this successful adventure Beakley and Donald allow the children to accompany Scrooge on further expeditions. 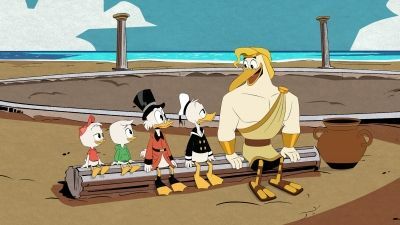 Scrooge offers to let them all move into McDuck Manor. 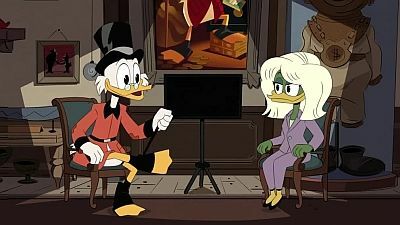 In the aftermath, Dewey discovers a painting of their mother adventuring alongside Scrooge and Donald. #10 - The Most Dangerous Game... Night! #11 - The Living Mummies of Toth-Ra! 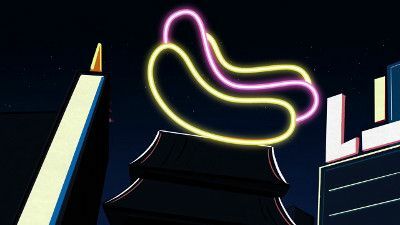 #12 - McMystery at McDuck McManor! 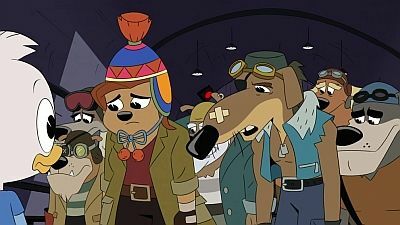 Huey decides to throw a birthday party for Scrooge, despite everyone warning him that Scrooge hates celebrating his birthday. 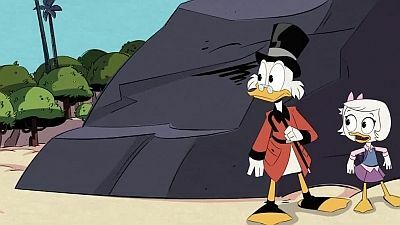 When Scrooge goes missing and the guests turn out to be his worst enemies, Huey decides to solve the mystery, unaware that the ghost of Scrooge's faithful butler, the long deceased Duckworth, is involved. #13 - Beware the B.U.D.D.Y. System! 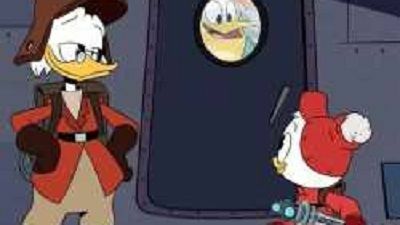 Launchpad recruits Gizmoduck after he’s menaced by tech genius Mark Beaks’ newest invention. #14 - Sky Pirates…In the Sky! #15 - The Town Where Everyone Was Nice! 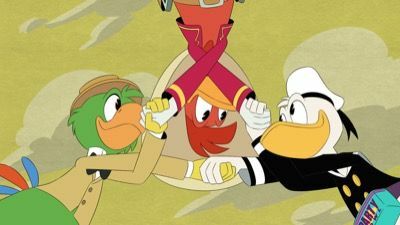 The family visits a Brazilian town with a dark secret where Donald reunites with his old friends Jose Carioca & Panchito Pistoles (Bernardo de Paula & Arturo Del Puerto), thus reuniting The Three Caballeros. #16 - The Missing Links of Moorshire! 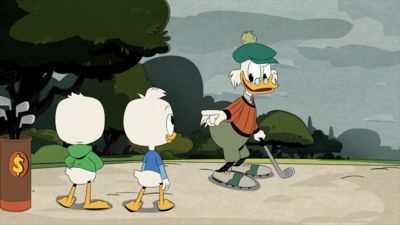 Scrooge and Glomgold face off in the "Duckburg Millionaires' Club Golf Invitational" in the Scottish Highlands, assisted by Huey, Dewey, Louie, Launchpad and Webby. The game is however hijacked by the spirits of ancient druids and turns lethal, with petrifying mists and a couple of kelpies attempting to have them drowned. #17 - The Ballad of Duke Baloney! 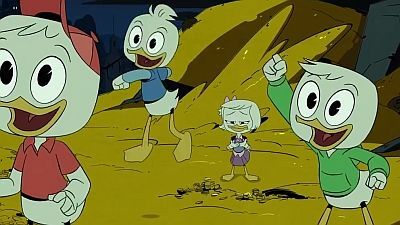 #18 - The Other Bin of Scrooge McDuck! 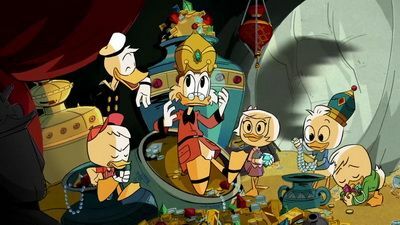 Lena's loyalties are tested when Magica forces her to lead Webby on a raid to a facility full of Scrooge's most dangerous artifacts to find his No. 1 Dime. #19 - The House of the Lucky Gander! 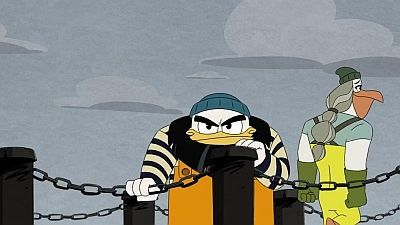 Donald competes with his cousin Gladstone Gander to impress Louie at a mysterious resort in Macaw, while Scrooge tries to lure the kids away from the resort’s endless distractions. #20 - The Impossible Summit of Mt. Neverrest! 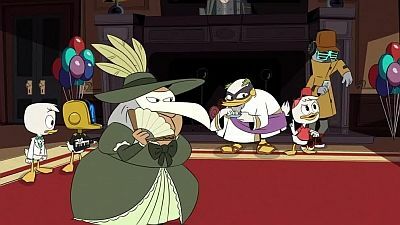 The kids and Launchpad work together to capture a mystical money shark while Scrooge attempts to better his public image with a televised interview. #22 - The Great Dime Chase! 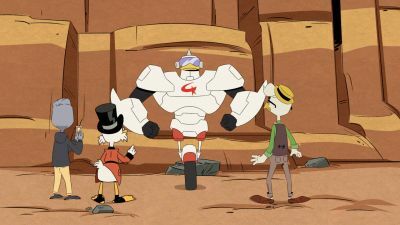 Louie accidentally spends Scrooge’s Number One Dime on a soda and turns to mad inventor Gyro Gearloose for help to get it back, while Dewey and Webby find information about Della Duck. #23 - Daytrip of Doom! 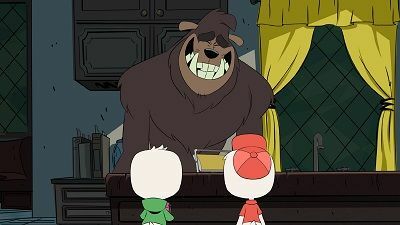 The nephews take Webby to Funso's and have a dangerous run in with the Beagle Boys. 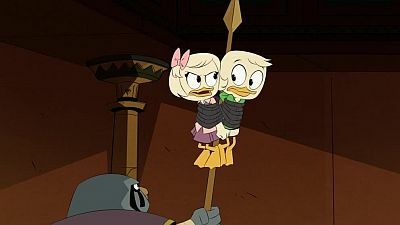 Donald rebels against Mrs. Beakley's strict "house rules". 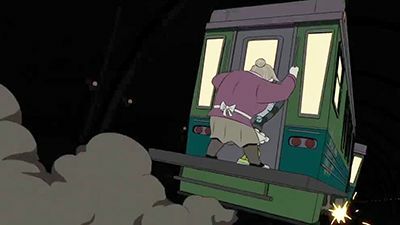 #24 - The Infernal Internship of Mark Beaks! 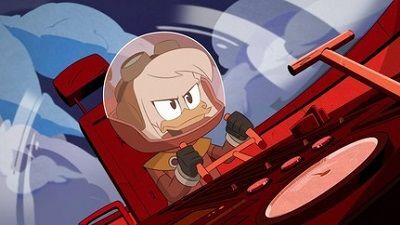 Huey competes with Dewey for a coveted internship with Duckburg’s newest tech billionaire, Mark Beaks, while Scrooge and Glomgold team up to take this new competitor down. #25 - Terror of the Terra-Firmians!